We offer superlative Stainless Steel Open Forging to our clients. We offer the Forging in our state of the art manufacturing unit and carryout the Stainless Steel Open Forging under the strict supervision of our experts. We are highly specialized in offering the Open Forging that involves the metal pieces working above their recrystallization temperatures. We carry on these Stainless Steel Open Forging Works by our team of experienced professionals. 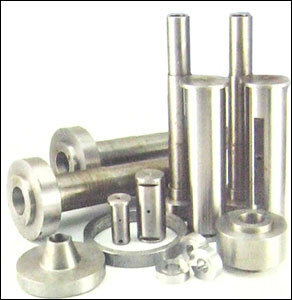 This Stainless Steel Open Forging is used for shape the heated metal parts into desired configuration. We precisely engineer these metal pieces which is why they are widely appreciated by our clients for its versatile nature and longer service life. Except for the intricate designs there is no special forging required. Our Stainless Steel Open Forging are highly popular among our clients for their excellent and numerous features. We are the technically sophisticated provider of the Forging services. We have been pioneering in the field of offering the Stainless Steel Open Forging as we combine the latest technology with advanced tools. We offer these services in conformation to the industry norms and standards and we are able to cater to the precise needs of Forging requirements. We believe in providing our clients with the reliable Stainless Steel Open Forging and constantly endeavor to exceed customer’s expectations and satisfactions.